I LOVE summer salad season! I have many favorite combinations; ha ha (in fact, I shared a few more at the bottom of this post). 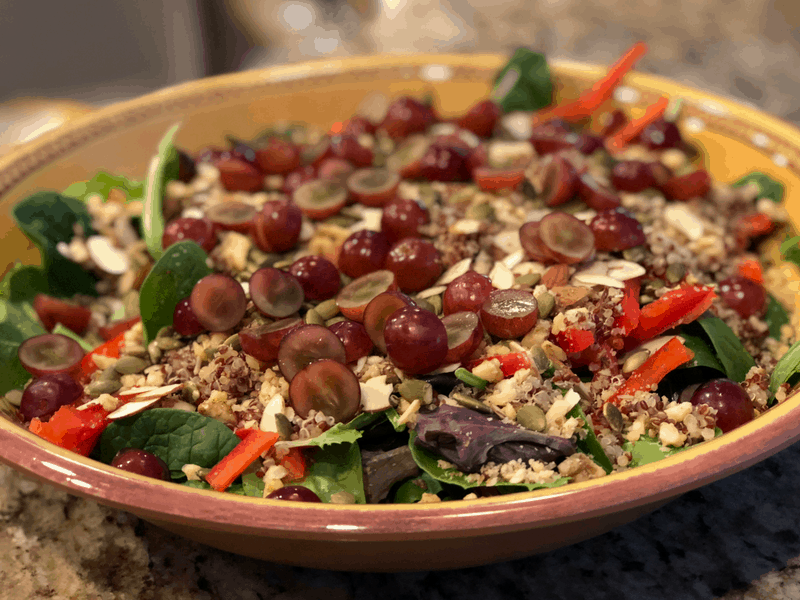 Here is one deliciously scrumptious salad that’s layered with all kinds of flavorful goodness. When I make a salad, especially to share with friends, I am not known for putting the lettuce mix in first and then all of the other ingredients on top. I like my salads filled with flavor. 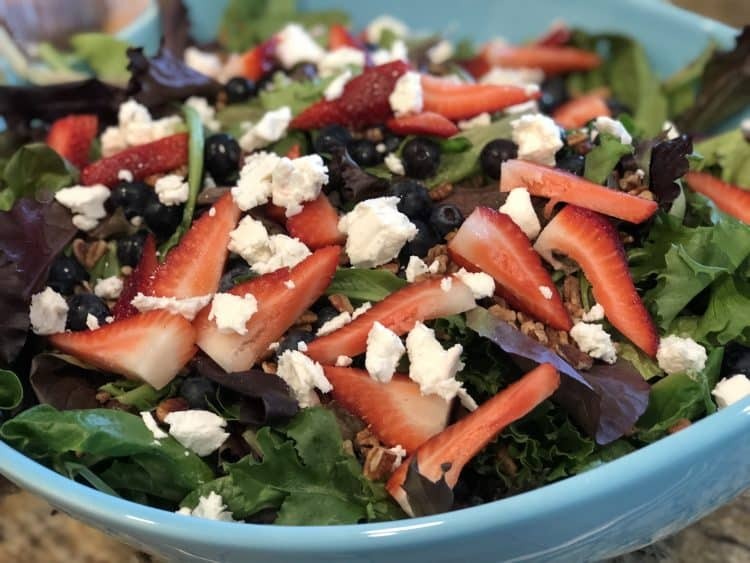 I do at least three letters by starting with some spring mix and then a layer of the pecans, sliced strawberries, blueberries and diced honey goat cheese and they I repeat the layers three more times. I top this salad combination off with my Raspberry Vinaigrette salad dressing. Wash the raspberries. Puree them in a food processor or blender until it’s pureed very well, almost like gel like. Stir the raspberry puree, the olive oil, vinegar, water, honey, onion powder, garlic powder and sea salt together. Keep refrigerated until you serve. Stir or Shake before serving depending on the container you have it stored in. Although this recipe makes a beautiful and festive serve for Memorial Day, Flag Day, the Fourth of July or Labor Day, it’s equally awesome all summer long.